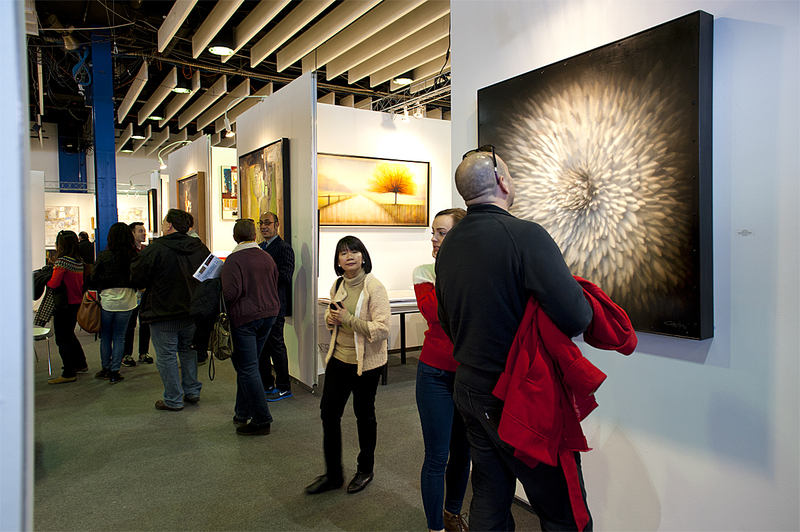 International Artexpo is the world’s largest fine art trade show, providing dealers, collectors and buyers with access to thousands of innovative works from artists and publishers in one single venue. 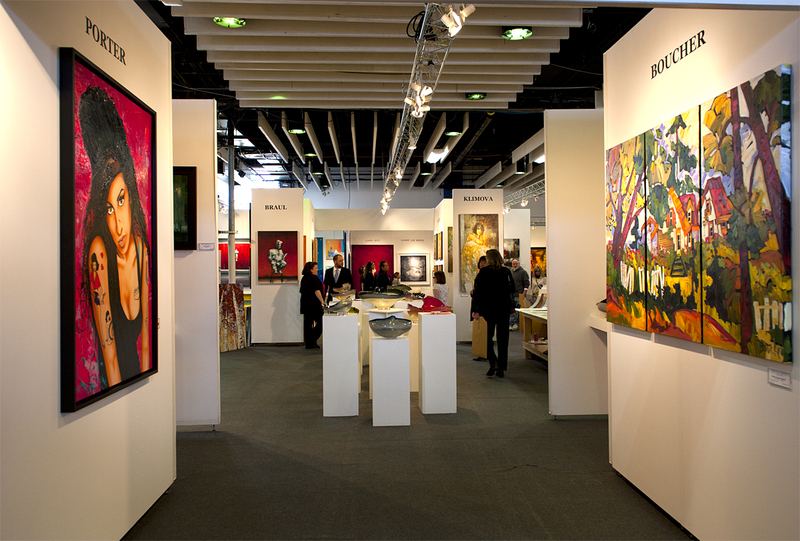 Over its 35-year history, Artexpo New York has hosted many of the world’s most renowned artists, including Andy Warhol, Peter Max, Robert Rauschenberg, Robert Indian, Keith Haring and Leroy Neiman. 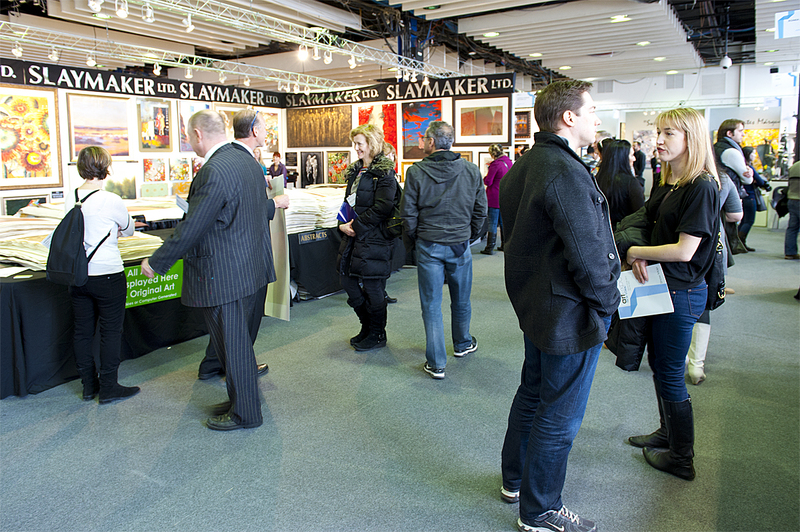 With attendees from all over the world, Artexpo New York hosts the largest gathering of qualified trade buyers, including gallery owners and managers, art dealers, interior designers, architects, corporate art buyers, art & framing retailers and many others. 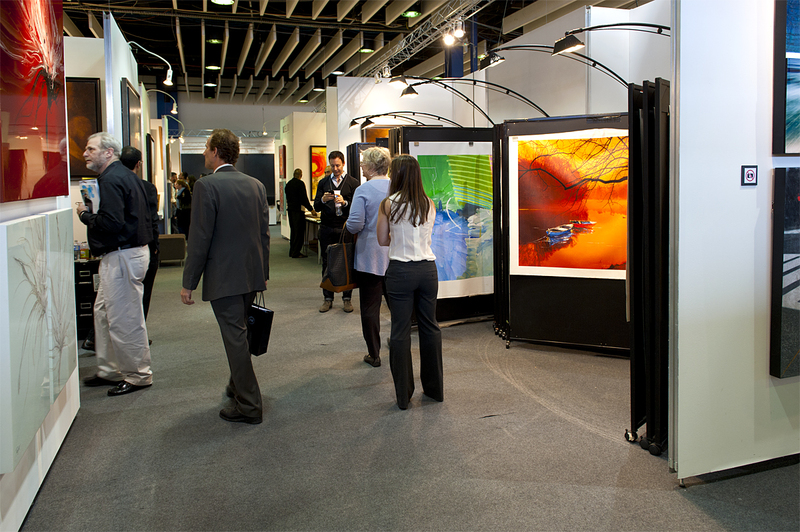 From Europe to the Far East and South America, Artexpo hosts an international audience of industry professionals seeking to discover exciting new works from established and emerging artists. 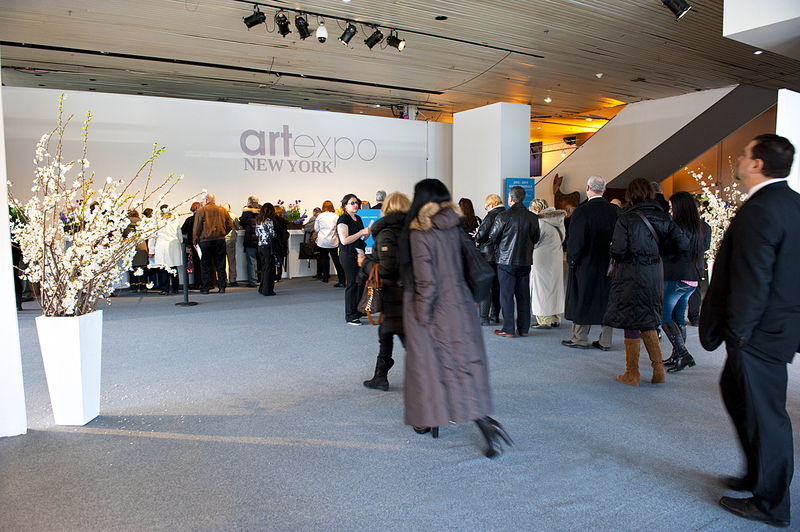 It is a great pleasure to welcome everyone to the 35-th Anniversary of Artexpo New York City. 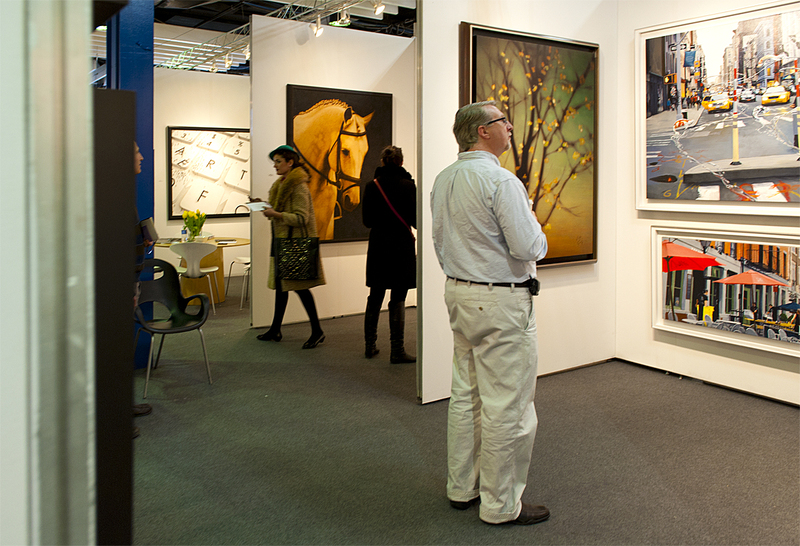 With more than 500 galleries and 150 world-class museums, New York is the place to be in the global arts scene. 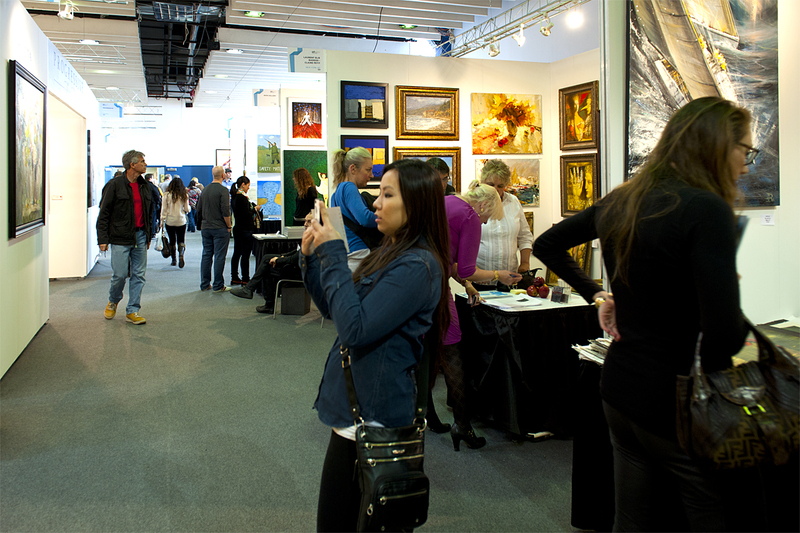 Our unparalleled arts institutions and the many talented artists who live and work here embody the creativity and innovation that defines our City, and that is why we are delighted to lend our support to the Artexpo, the largest fine art trade show in the world. 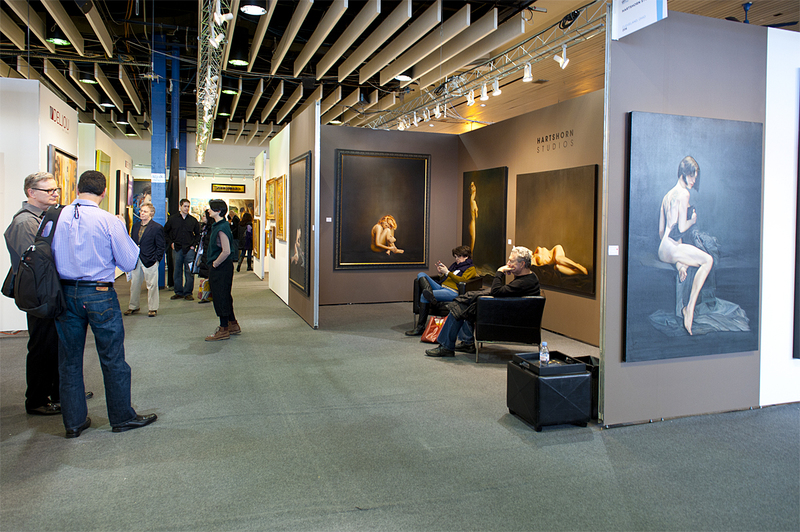 This exciting annual event connects art dealers, collectors, and buyers with some of the best international artists and publishers, while also showcasing works from the top emerging artists and offering seminars on a wide range of topics. 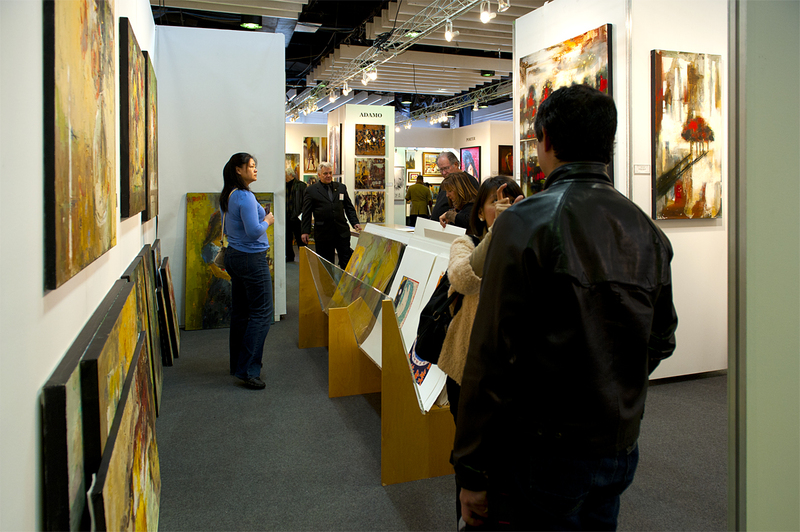 We applaud the Artexpo for contributing so much to our cultural landscape and look forward to New York remaining a premier destination for artists and art lovers alike in the years to come. 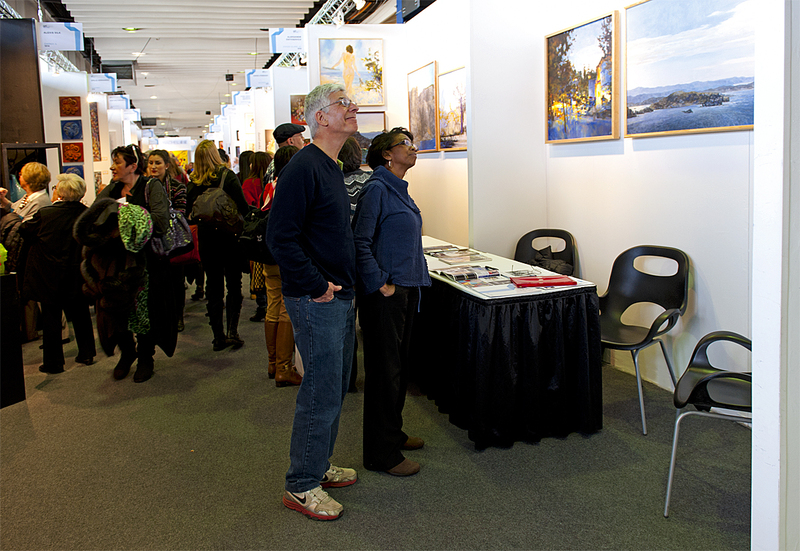 On behalf of all New Yorkers, I am delighted to welcome everyone attending this year’s show to our City, and I hope you have the chance to explore our diverse neighborhoods and experience the many exciting attractions that define our five boroughs. Please accept my best wishes for a wonderful event and continued success. 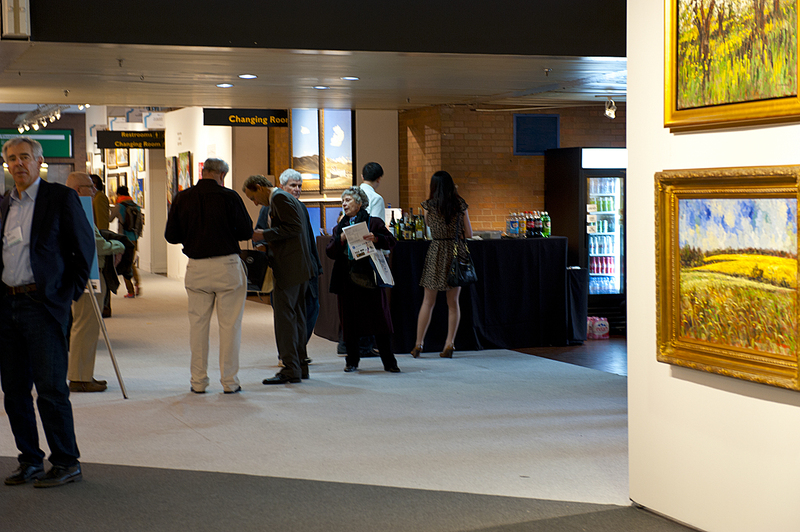 Piers 92/94, a premier trade show and special event venue in the heart of Midtown Manhattan, 55th Street and the West Side Highway. 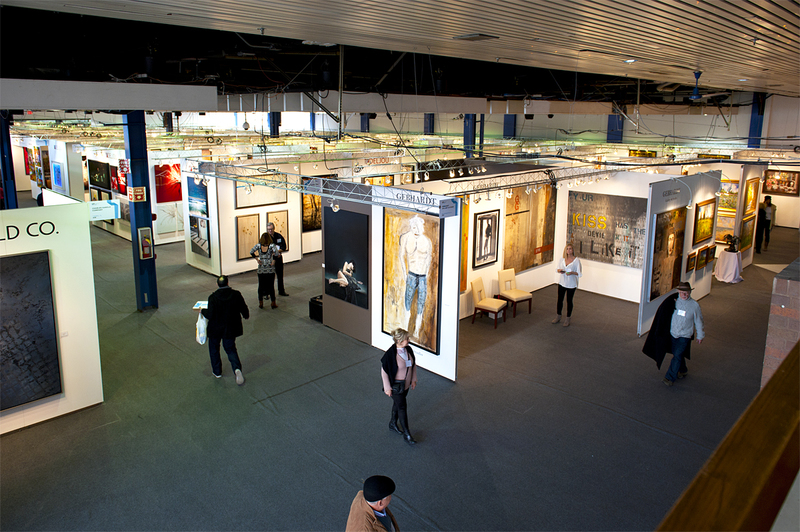 Piers 92/94 is home to design oriented events such as The Artexpo New York, The Armory Show, Architectural Digest Home Design Show, The Pier Antiques Show and leading fashion shows during New York Fashion Week. The facility also regularly host parties and product launch events for groups ranging in size from small charitable foundations to Fortune 500 companies. 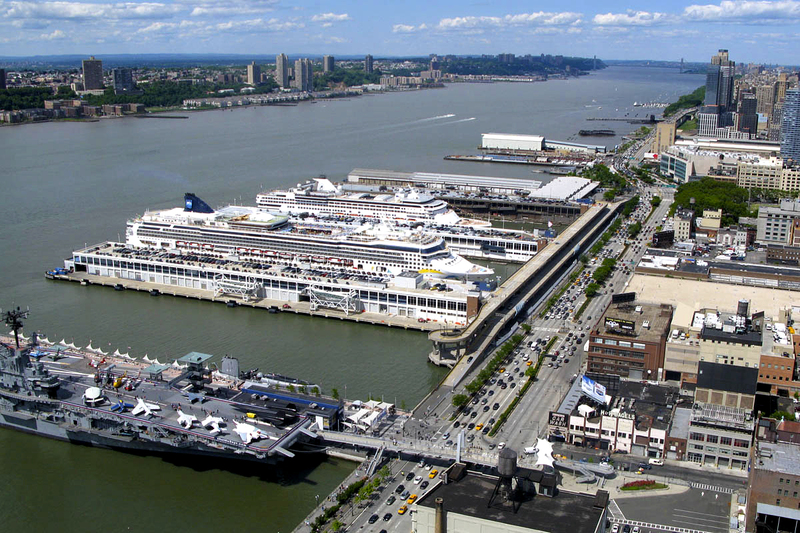 No matter your event needs, Pier 92 and Pier 94 enjoy a prime location, as well as established prestige in the New York convention and special event landscape. 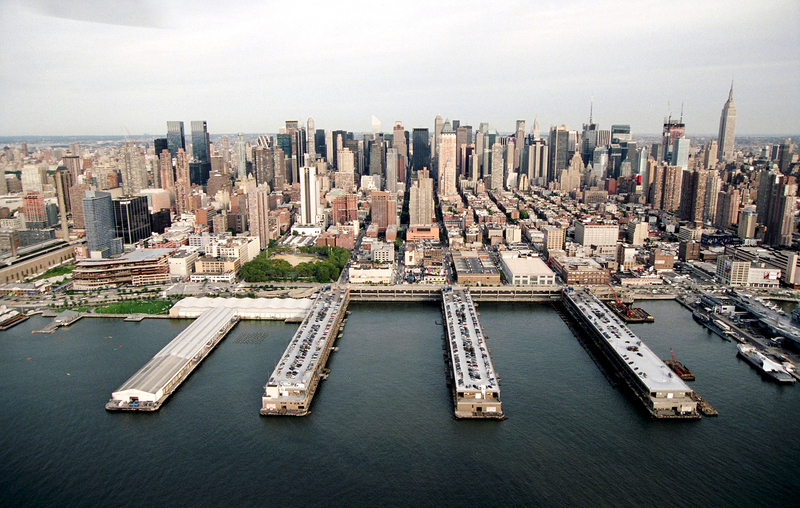 208,000 square feet of exhibit area make Piers 92/94 the second largest facility in New York City. 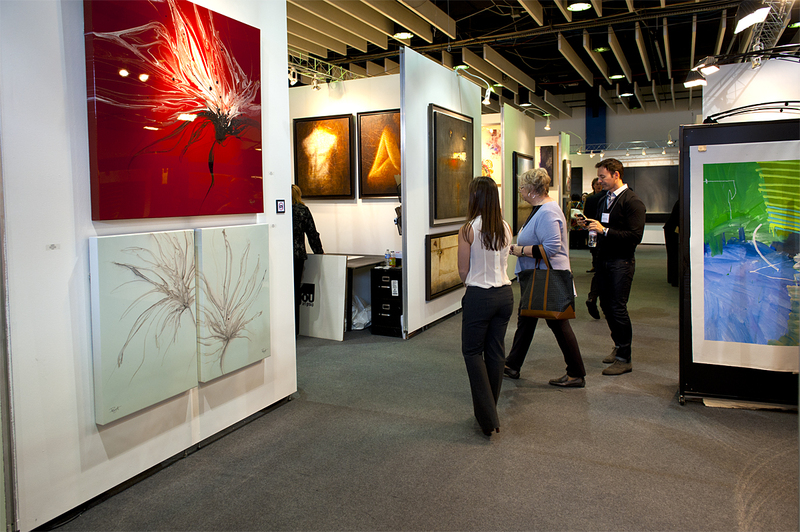 Connected by a spacious and welcoming headhouse, Pier 94 offers 133,000 square feet and Pier 92 features 75,000 square feet of contiguous exhibit or event space. Open space, high ceilings and column-free corridors create unlimited configurations and adaptable spaces. 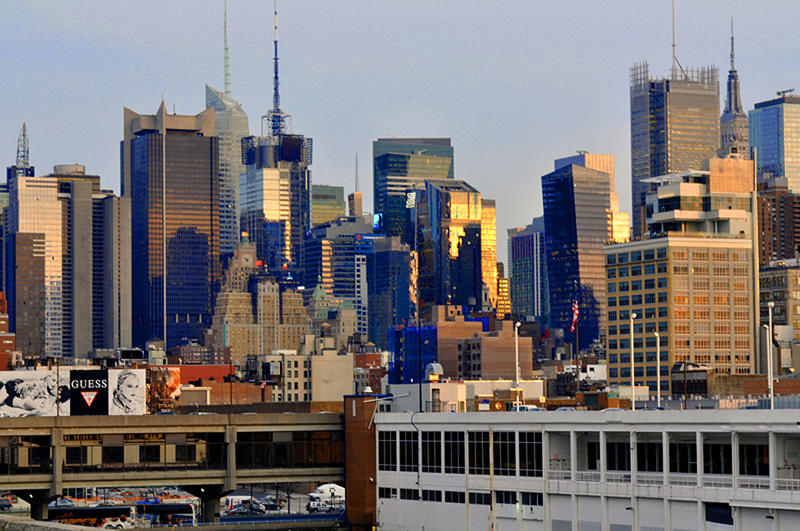 An early morning in New York. Artexpo parking lot on the roof of “The Art Pier”. 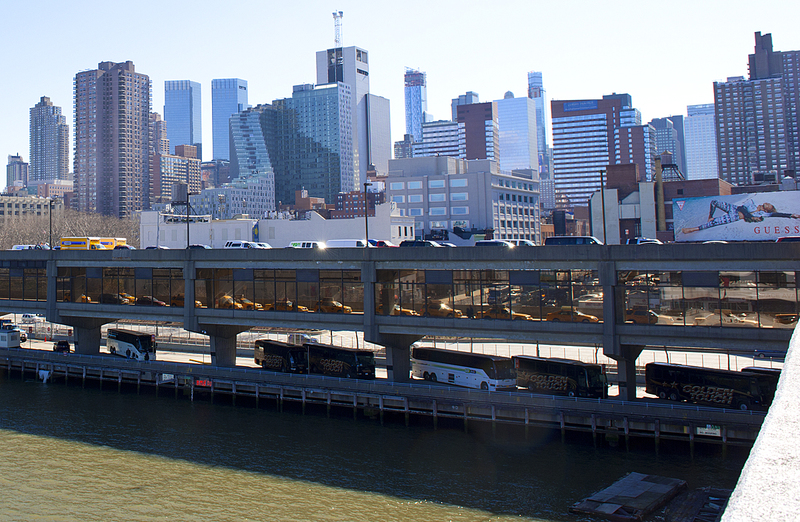 Artexpo parking lot on the roof of the Pier 90. 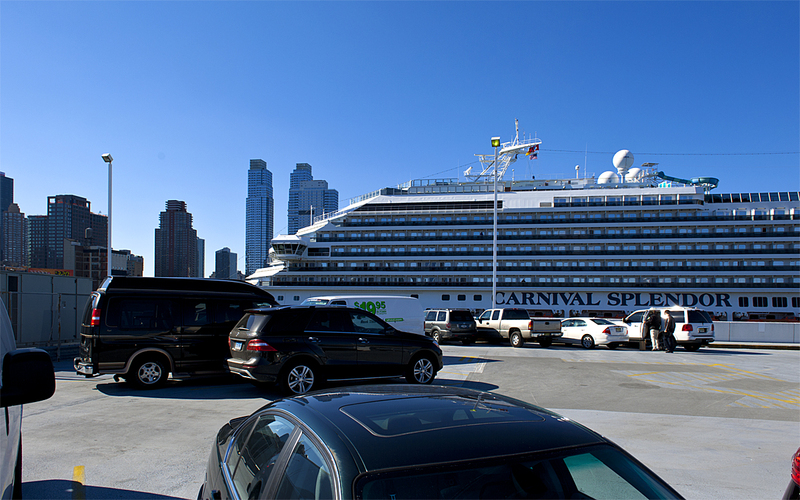 “Carnival” is a American global cruise company, and the world’s largest cruise ship operator. 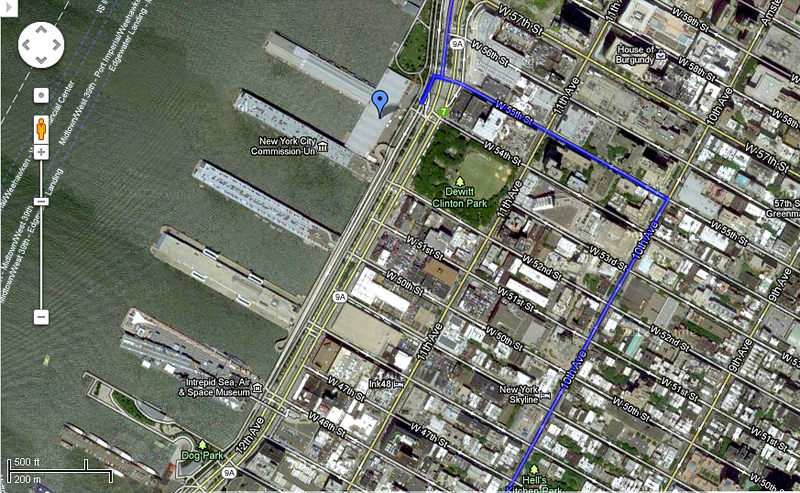 The Pier 90. 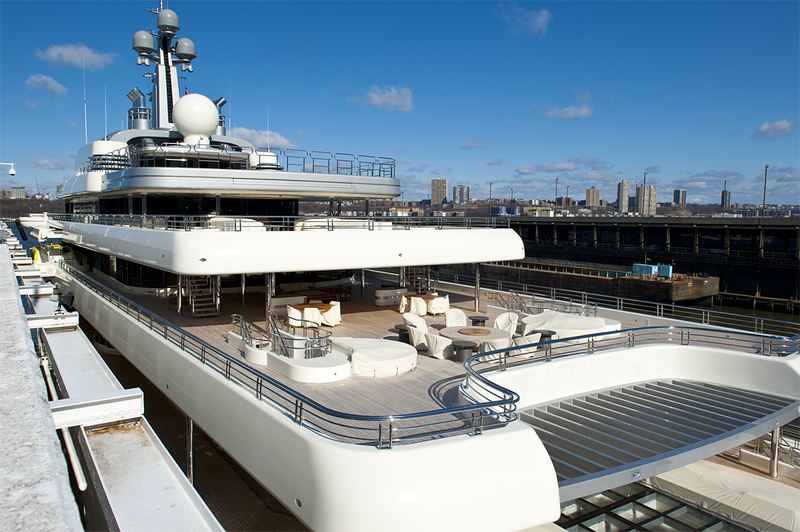 The yacht “Eclipse” is the world’s largest private yacht. The owner is Russian businessman Roman Abramovich. 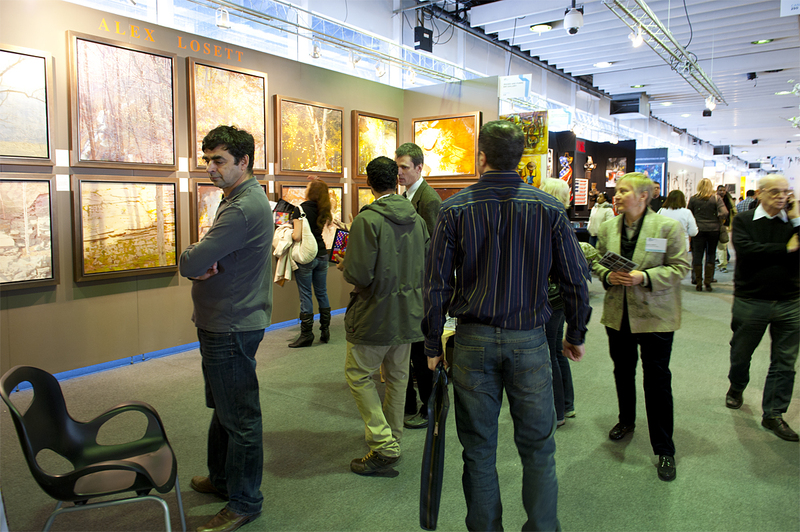 Artexpo New York 2013. 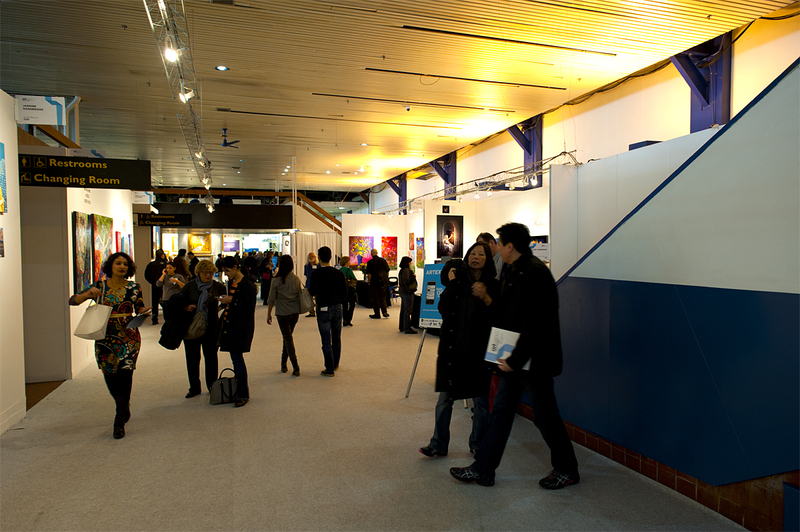 The entry hall. 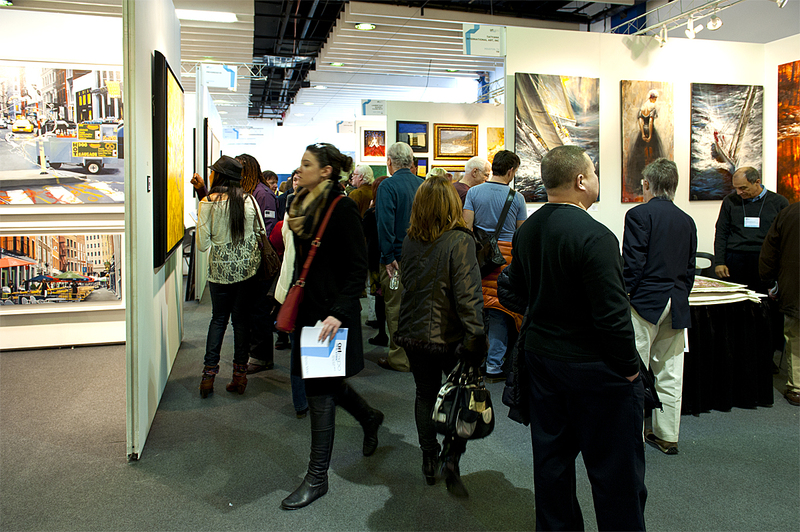 Artexpo New York 2013. The lobby. 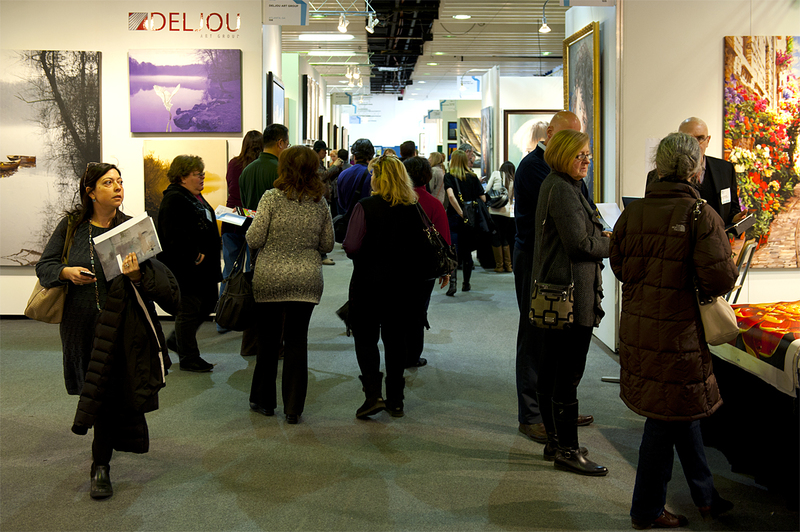 Artexpo New York 2013. 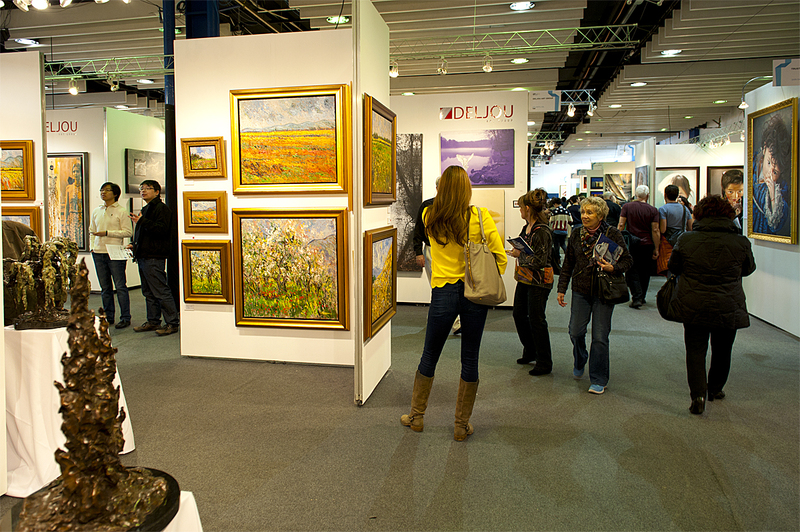 The exhibition hall. 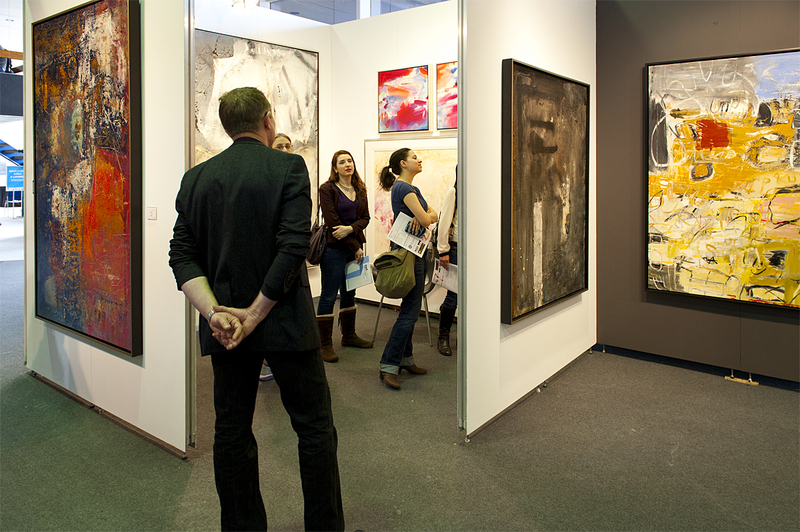 Artexpo New York 2013. The Gallery Pavilion. The Gallery Pavilion. 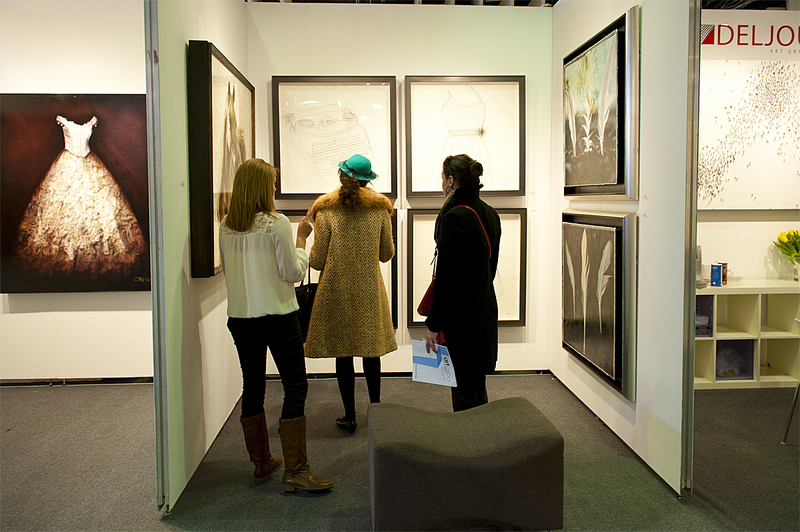 Artworks and viewers. 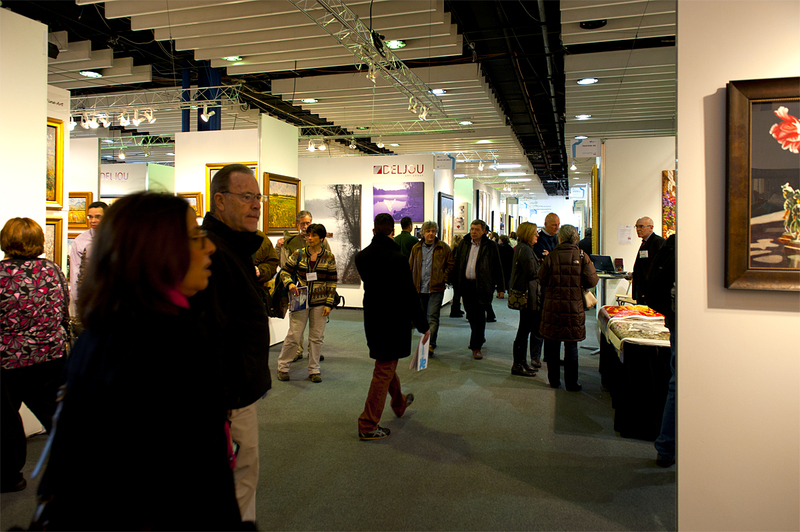 The Gallery Pavilion at the beginning of exhibition. 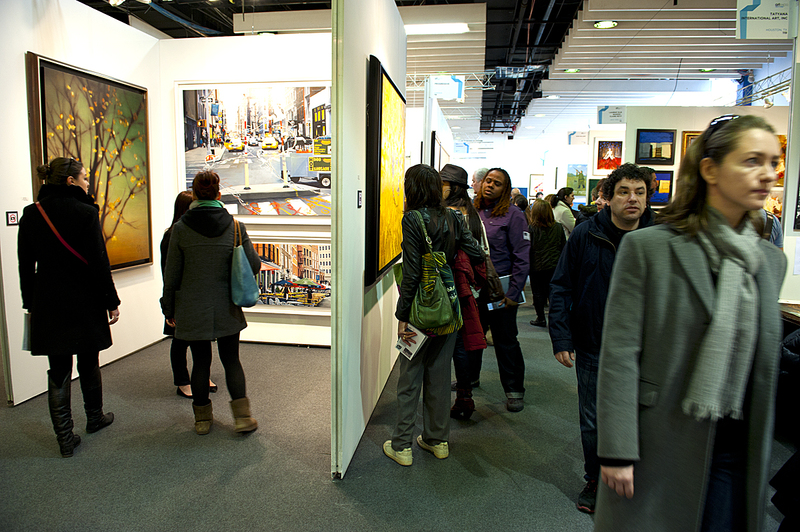 Artexpo New York 2013. 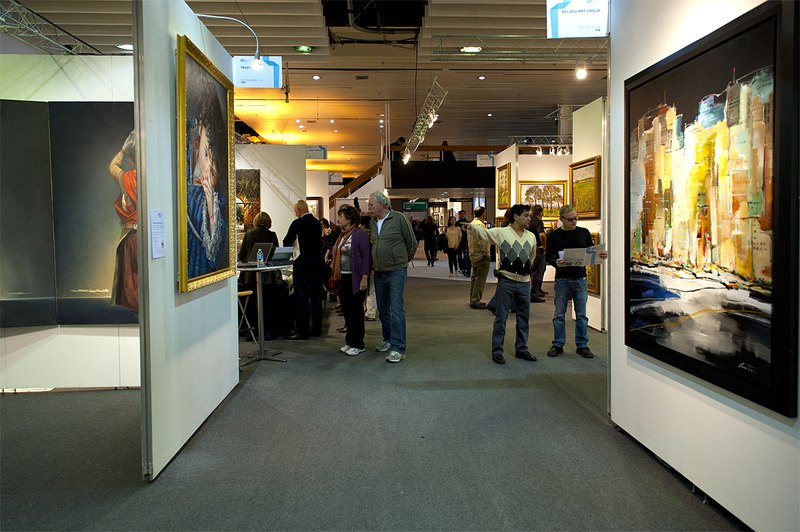 The galleries exposition. 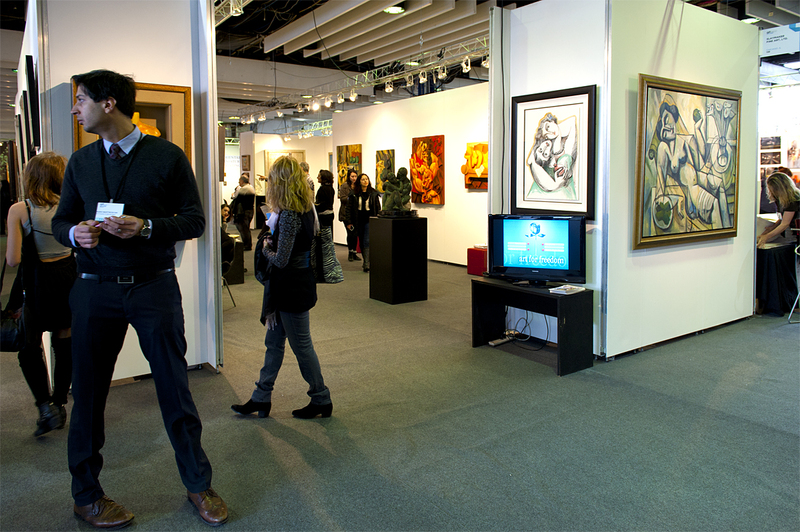 Video advertising is part of modern presentation. 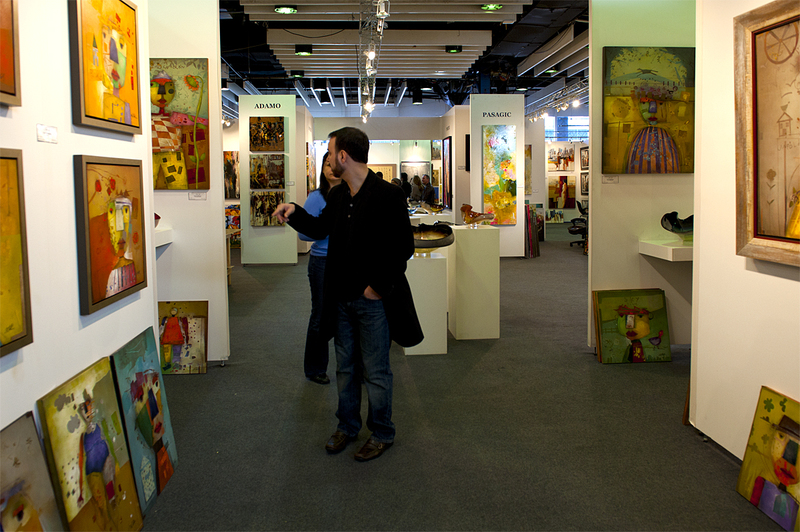 Discussion inside a gallery section. 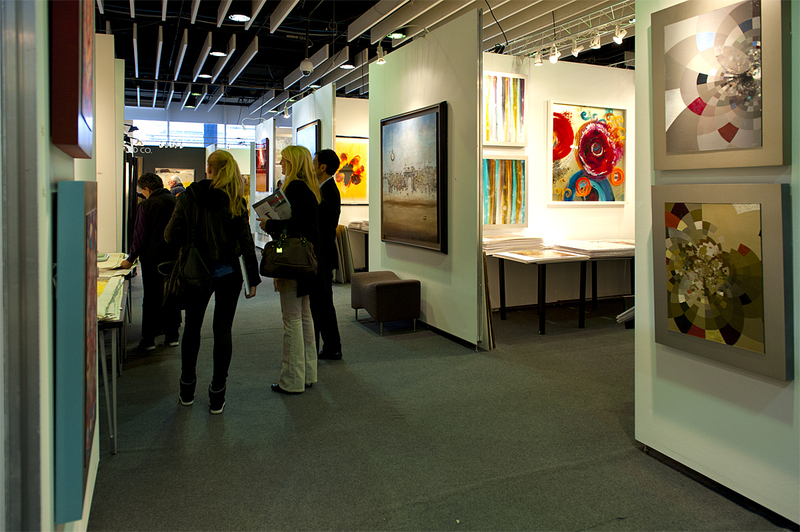 Russian painting in Tatyana International Art, Inc. booth. 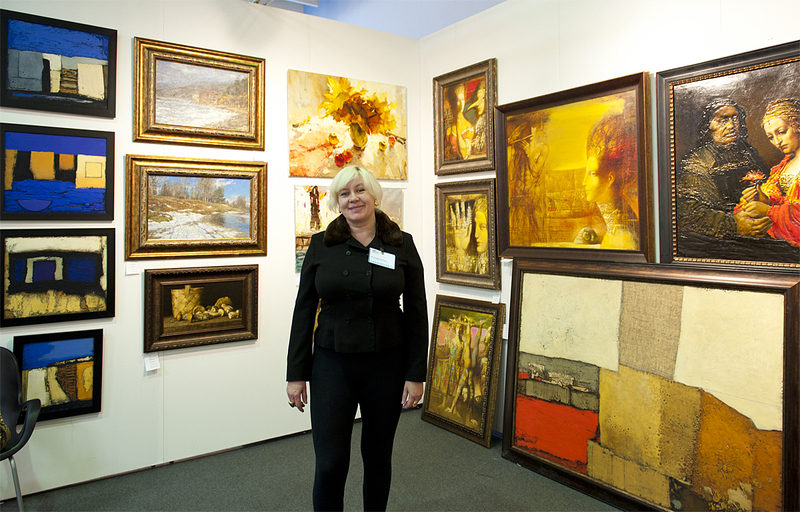 Gallerist Tatyana Cohen (Houston, USA) introduces many excellent Russian artists to New York public at Artexpo 2013. …to buy or not to buy? 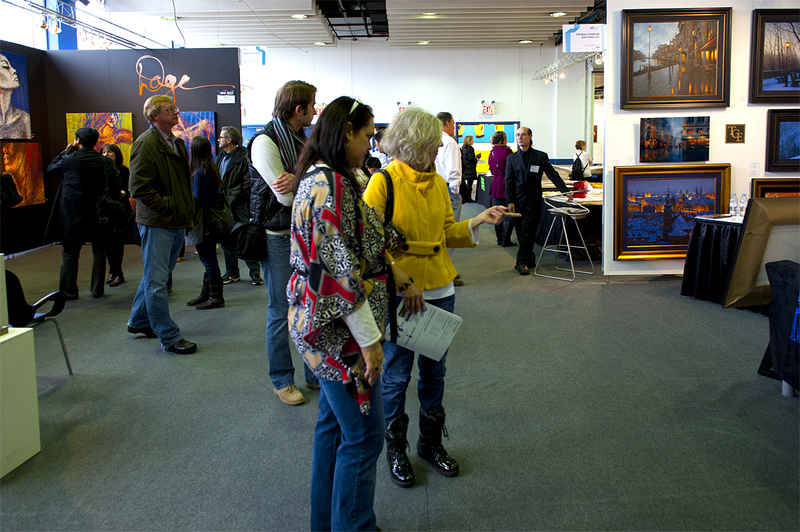 Viewers in the SOLO Pavilion. The SOLO Pavilion. 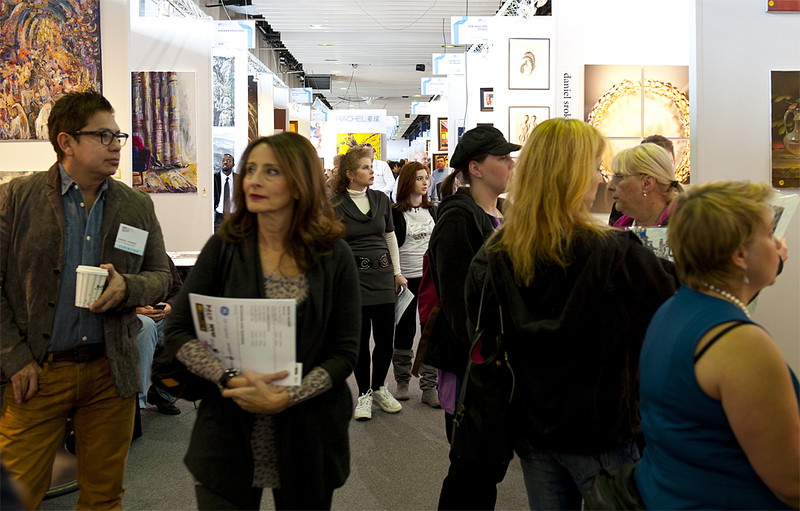 Viewers at artworks. 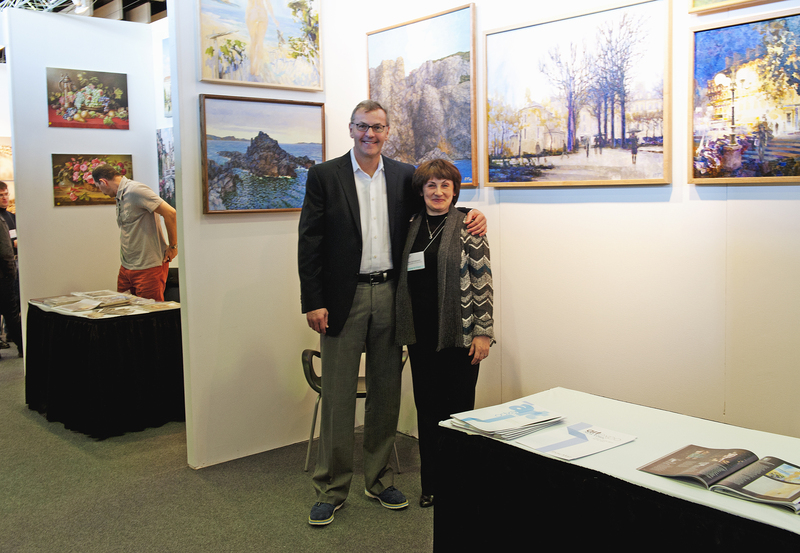 Artexpo CEO Eric Smith with Larisa Fayvisovich at artist Aleksandr Fayvisovich booth. The end of a day. An evening on the West Side.